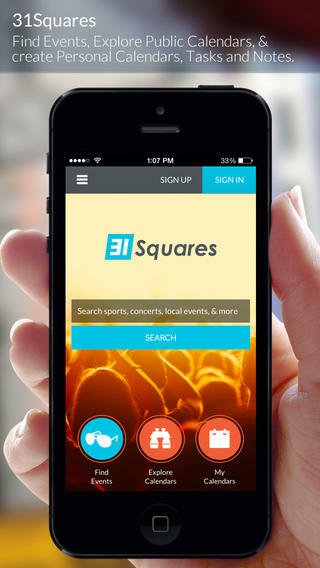 31Squares is an iPhone app developed by31Squares, Inc. This productivity-boosting calendar app gives businesses a way to connect with customers, while providing consumers with a tool that helps them to discover local events. The first thing that struck me about 31Squares is how attractive the interface is. Not only is this app pleasant to look at, but it’s also pleasing in terms of how thoughtfully it has been laid out. 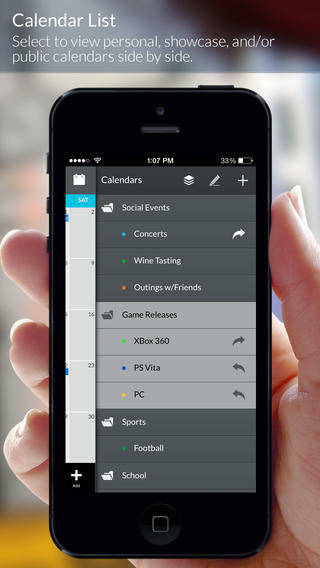 You can easily find events, look at calendars, and invite friends to an event you’re attending. 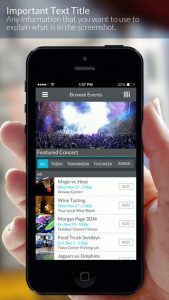 There is also two-way communication to see if friends have accepted or declined, allowing you to better estimate how many of your friends will be in attendance. This is a relatively new app, so the lion’s share of events seem to be located in metropolitan areas. The developers note that they have an exceptionally robust event listing system for Orlando, and I was pleasantly surprised to see how many Boston events were being represented. All that being said, I think users in more rural communities might not find their events easily, unless they themselves take the time to add them. Adding a new calendar or event is really simple. This app is great because it is simple to navigate, but still packed with tons of information. 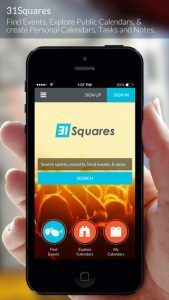 With over 8000 calendars, 80,000+ listed events, and 500 local event partners 31Squares is definitely positioned to do great things. The developers have been nimble in responding to bug issues, which is great to see. For now, this app is iPhone only. However, the developers say that an iPad version is in the works, and will debut soon. While the iPhone version doesn’t exactly feel cramped, this is definitely one of those apps that will benefit greatly from the iPad’s larger screen. 31Squaresrequires iOS 6.0 or later. Compatible with iPhone, iPad, and iPod touch. This app is optimized for iPhone 5.